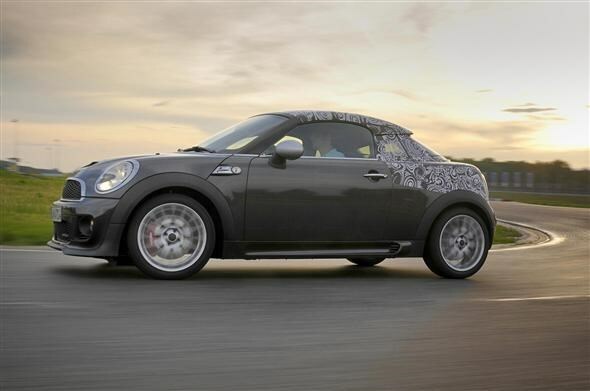 The MINI brand is set to expand further, with the manufacturer revealing a new two-seater coupe model. This new Coupe joins the recent addition of the Countryman to push the model range to four, and has been made 29mm lower than a standard MINI, while the 'helmet roof' and integrated roof spoiler add to the more sporty image. It's the usual marketing hyperbole and the company claims that the Coupe 'indulges the keen driver with a level of agility unmatched din the small car segment.' If it carries over any of the performance found on other models in the range then they might have a point. Talk of the infamous go-kart handling is high on the agenda, while the chassis set-up, engines, aerodynamics and weight distribution gives the coup the best performance statistics ever recorded by a mass-produced MINI, according to the maker. There's a good selection of engines, with the most powerful power plants from across the range on offer. The sole diesel option is the newly-introduced SD engine. This produces 143bhp and will reach 62mph in 7.9 seconds. At the same time economy is 65.7mpg, while emissions of 114g/km mean you'll pay £30 in annual tax. Customers then have a choice of three petrol engines. There's the Cooper version with 122bhp, the Cooper S option producing 184bhp and the range-topping John Cooper Works making 211bhp - this equates to a 62mph benchmark sprint of 6.4 seconds. All engines come with a six-speed manual gearbox as standard, while a six-speed auto 'box is available as an option on all models apart from the John Cooper Works. To counter these higher-powered engines, the Coupe version gets an active rear spoiler that extends automatically at speeds of 50mph or more. 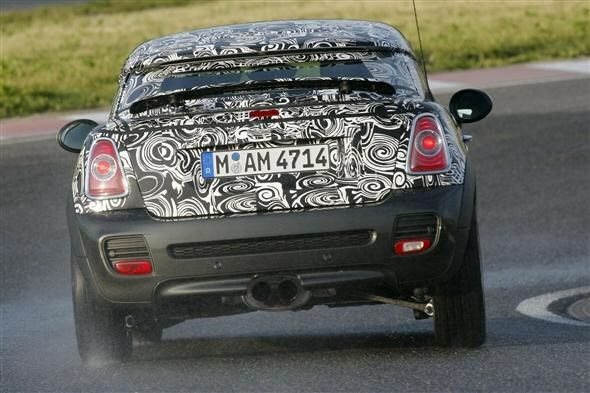 Despite the limited space inside the car, there is extended stowage and loading capacity behind the driver and front passenger, according to MINI. The boot opening is also wide and extremely high-opening to make loading easier, says the brand. The coupe model is set to arrive in the UK around October with prices to be confirmed nearer the time.